It’s been found – a planet that may be suitable for life as we know it, orbiting the nearest star. The star itself, dwarf called Proxima Centauri, gets its name from its nearness to us – just over four light-years away. So imagine our sun being cooler and redder, and us much closer to it, closer than the planet Mercury, so close that we make a complete orbit in just 11 days rather than 365. Add in a rocky surface, and that’s an outline of the new planet. The key aspect is its temperature – suitable for liquid water to exist. 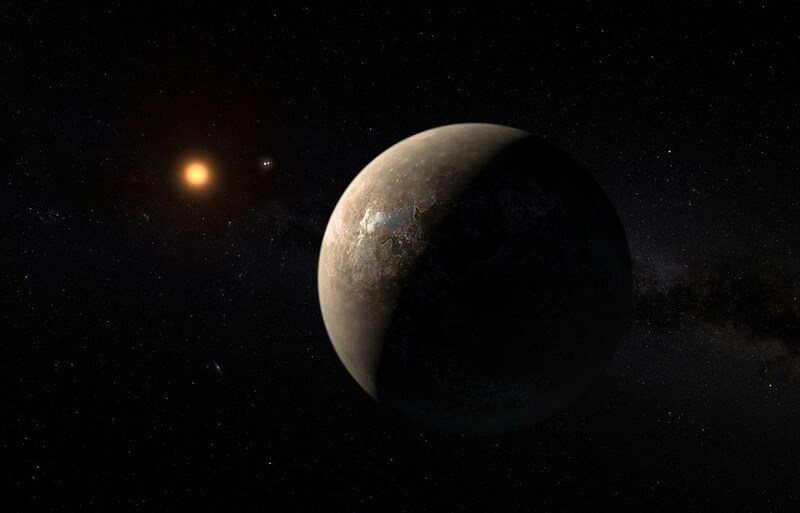 Proxima Centauri itself is too faint for to see from the Earth with the unaided eye, and much less bright than the nearby pair of stars known as Alpha Centauri AB. But a network of telescopes led by the ESO 3.6-metre one at La Silla in Chile have been able to focus so precisely on the light from Proxima that they identified the tiny back and forth movement due to a planet orbiting. And they have also found a trace of movement from Proxima – sometimes seeming to approach us and sometimes to recede, in a cycle of 11.2 days, with the motion explained as the presence of a planet orbiting the star in this period, close to Proxima itself. Existing telescopes and new ones are now going to be homed in to Proxima to try to find out more about the newly discovered world circling it, and particularly to seek evidence of the existence of water. The team leader, Guillem Anglada-Escudé, says that discovering the Earth-like planet has been for them “the experience of a lifetime”.